You don’t know where to start building your squad? Are you still undecided between two players? Do you need to decide one more position? It doesn’t matter what your problem is, we’re here to help you. 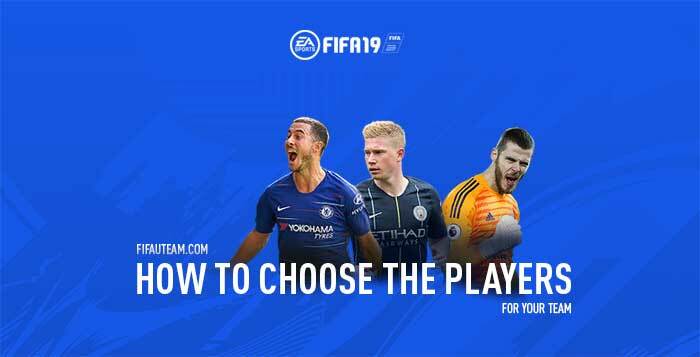 Learn how to choose the best players for your squad on FIFA 19 Ultimate Team. Ultimate Team differs itself from the other game modes by allowing each one of us to build a preferred dream team. One that we’re identified with, that we feel like it’s ours. What makes this such a unique thing is the fact that we all have different tastes. In order for us to build our team, it doesn’t matter if we know who are the best players or not because this matter is quite subjective. What matters is knowing which players will fit better in our playing style, our formation, budget and squad. This isn’t always an easy task, after all new player’s cards keep coming along through the season, but we’ll give you all the tools needed to build better. Find out who’s your team in FIFA 19 Ultimate Team. It’s unavoidable. When we want to start a squad from scratch, the first criteria for selecting the players is always the chemistry. It forces us to plan how we’re going to spend the coins with antecedence and makes us base it all in one league or nationality. If you have experience, you might as well choose to build a hybrid squad but you’ll always be subject to the laws of Chemistry. For people who don’t know, the chemistry affects a player’s performance on the pitch. A player with low chemistry tends, for example, to fail at passing and shooting more easily. In order for you to build good chemistry, besides having your players play in their preferred position, you should put them alongside others that have an element in common: same club, same league and/or nationality. The easiest way to do so is to create teams full of players exclusively from one league or of one nationality. If you want to find the right league for you, please click here. When you build a squad you’ll obviously be conditioned to the players’ positions. You must choose 18 players and at least one should be a goalkeeper. Then, if you don’t want to have chemistry negatively affected, you’ll have to buy players for the positions you need, according to your formation. They won’t always have to rigorously match since you can use position modifiers, but surely you’ll understand you can’t have all 18 players of the same position. The question here is how far you can go and disrespect the chemistry. For example, will my performance be that affected if I use a centre-back as a left or a right back if I see there aren’t good options for those actual positions? Most people will respect chemistry rigorously but it doesn’t necessarily have to be like this. It’s true that we do advise you not to use a player with individual chemistry below 7, but it depends on the alternative. Although there’s no concrete indication, general rule, a Neymar playing as ST will do better than Balotelli, who is most frequently used for this position on Ligue 1 squads. If you want to use a player outside of his natural position, you first need to check if he’s got the necessary attributes to play in this new position. This adaptation only makes sense if there’s a notable quality difference between this and the best player you can get for the position, in a way that the change compensates the chemistry loss. Besides, it’s recommended that the positions have some relation to one another so that chemistry is not so roughly affected. Let’s start by demystifying one thing: players are no more than numbers. Although EA Works hard to make us believe the players have unique identities, here’s the truth: they’re mere numbers and should be analysed as such. We do know this isn’t quite easy to accept for people who have experienced unique moments that once connected them emotionally to the players. Deep down it’s good to believe they’re something more than numbers, but doing that is just avoiding the truth, sadly. The player’s physique isn’t what affects his performance, not his traits or specialities many of them don’t exist on Ultimate Team) either. It’s all on the attributes. They’re the ones responsible to make us feel like each player is different. And they’re the ones you should carefully analyse when planning your squad. Many times one player’s perception changes, according to the game’s difficulty, formation or for any of the dozens of other reasons there are. Still, attributes are the most accurate element that we have in order to compare players. For pure laziness or lack of knowledge, many people make the terrible mistake of evaluating one player’s quality according to his rating. It just shows, how popular and good in specific attributes a player is, so that makes them be compared to others. The rating is NOT an average or reflex of all the attributes. It reveals nothing about the player’s true technical, mental and physical attributes. Sometimes, FIFA 19 players with lower ratings can be better choices. 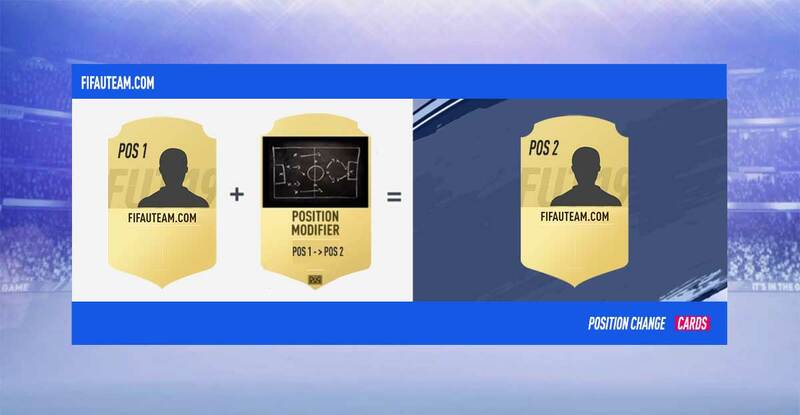 On FIFA 19 Ultimate Team there are more than 30 attributes which can only be viewed in-game, in the active squad & squad management menu, or else in a database. You’re the only one who knows for sure about the attributes your players need because that’s according to your playing style. If, for example, you like to cross abuse, it’s preferred for you to have wingers with good crossing attributes and strikers with good heading. On the other hand, if you like playing on counter attacks, it’s important for you to have fast attackers and midfielders with good passing. All this is very intuitive, you need to look at your squad line and think about what you want to do with it. If you’re still having a hard time, we’ll help you. As we said, the player choice should be based on his attributes. Since they’re so many, when we play we get the feeling that it’s not possible to choose them only calling upon the numbers. However, we forget that the numbers are much more accurate than our playing experience, which is corrupted by many factors: our inspiration, the opponent’s quality, changes in our team, several events during the game, etc… We’re not saying you shouldn’t choose players basing yourself on the experience you’ve had with them, but you should form an opinion only after a minimum number of 10 to 15 matches. Besides, most of the time we can’t experiment with all the players we want to come up with the best team, so a good analysis of the players’ attributes first will surely be of great use. But how is this analysis made? First of all, it’s important to know what each attribute means, what can be done clicking here. Then it’s also important to realise that the players with the highest attributes are not necessarily the best. Our interest here is to find the right players for our squad, and this is done once we identify the characteristics they should have according to what we can afford, of course. Imagine, for example, that you’re looking for a centre-back to play between two other centre-backs and his main role is to defend. Tackles, Interception, Marking, Jumping, Strength and Heading Acc are the main characteristics he should have. If you wanted to find the ideal player you’d just have to find the one with the highest sum of these attributes. Obviously, it would be good having the other attributes high, but these are the ones you should focus on for this example. However, things aren’t so simple like this (you already find it complicated?). It’s just that among these attributes, some are more important than others and you should pay attention to this. You should give weights for each one of the attributes so that you can find a weight average to reflect the perfection of the player you’re looking for. For this example, you could define Tackle worth 35%, Interception 10%, Marking 20%, Jumping 15%, Strength 15% and Heading Acc just 5%. Even more rigorously, you could create a formula based on your playing style and formation, coefficients that would reflect the importance of the other attributes, work rates, star skills and weak foot. The ideal thing would be to create one weight for each attribute in order to get an absolute final value that wouldn’t depend on anything else. However, besides this being way too painful to do, making all these weights up would be hard for people who don’t perfectly dominate the game. This is why there are other simpler strategies in order to determine how good a player is for our squad, and still that would allow us to come to sufficiently good conclusions. If you’re not very experienced, probably you’ll have a hard time identifying which attributes to give more attention to when choosing a player. We don’t know what’s your playing style, but according to your formation and player position, we can suggest the ones that seem like the most important ones. This information can be seen here, along with the work rates we judge ideal for each one of these situations. Obviously, this is a very simplified analysis. With a deeper knowledge inside the game we’ll be able to add strength to the list of attributes to carefully control and, for determined situations, resistance (stamina). The first one is frequently ignored but it contributes the most for the game’s evolution. 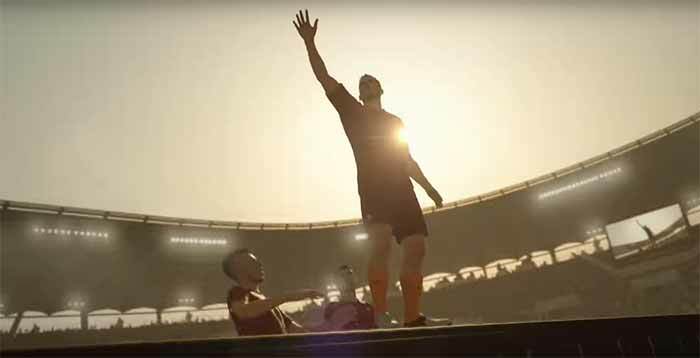 The second started being important on FIFA 16, because in the previous years it had no practical effects. It’s more important for players in positions that require frequent running who usually have got aggressive work rates. These are the ones you should care to see if their stamina levels are high or low. All this hassle for us to find the ideal players for our squad may look a bit complex since there are so many attributes to take into account. However, it goes downhill when it comes to choosing a goalkeeper. They’ve got only 6 basic attributes. They don’t have IG stats, nor skill moves or work rates. Nothing. Your formation and playing style have no influence on this choice either. They’re simply formed by seven numbers (yes, besides the attributes there’s his height!). This is what makes goalkeepers seem different to each other. You can abdicate yourself from giving attention to feedback saying this is or that goalkeeper concedes easily frequently. This is no good. You’ve seen two or three people complaining about that goalkeeper but, if you look closely, you’ll find more people saying the opposite. The only way you know if a goalkeeper is good or not is through his stats. In our opinion, the descending order for the importance of goalkeeper attributes is: reflexes, diving, handling, positioning, speed and kicking. It’s up to you to weigh them. If you’re defensively passive when the opponent is roaming through the surroundings of your area, you should also give special attention to your goalkeeper’s height, because when they’re shorter the probability for a finesse strike to go in is higher. Although it isn’t decisive, you should pay attention to the player’s height, especially if he’s a striker, a centre back or a goalkeeper, although it’s also useful for the CDM position. A taller player that has good jumping will win more headers. Carefully verify if you’re using your players correctly for their position on the field, sometimes you should change their side in order to favour their preferred foot. This is the type of characteristic that should be decisive when choosing one between two players or more. It’s more important for the player to have good attributes than more weak foot stars, of course, but that’s still interesting for us. If you’re thinking of buying a finisher, don’t forget to check if he’s got a good weak foot. You’ll certainly notice the difference on the pitch between a player with low and high weak foot. Players with more skill moves stars will get past the opponents more easily. They can also execute more complex technical movements although this might be more of a show off than an actual contribution to the team. Most 3 stars skill moves are as effective as (or more than) 5 stars skill moves. Like it is for the Weak Foot, the Skills Moves should determine which player you’re choosing, unless you’re a natural skiller that doesn’t need the means to success. Unlike the others, this is for us, with absolutely no doubt, a characteristic that you should never look away from when choosing a player. This isn’t where you should start the player selection, do this at the point where you already have a short list so this works as an effective eliminatory factor. Avoid low/low work rates, or high/high on players of low stamina. Low offensive work rates on attackers or defensive work rates on defenders are usually bad choices. According to your tactic, playing style and the players you already have you should manage work rates in order for one to compensate the other. For example: two centre backs with low defending work rates is unacceptable, but it’s okay to have just one. Well then, shouldn’t this be one of the first criteria? Good question, but we’re already counting that you left Ronaldo and Messi out because you know you don’t have enough coins for them. What we’re going to do now is the opposite. Instead of choosing the cheapest players, we’ll choose the most expensive ones. Are you confused? We’ll explain. By this part of the article we suppose you already have a pretty good idea of who you want for your squad. In the worst scenario you’re striving to choose one between two players. Which one should you choose? You probably have a favourite but you just need the final word. Something that will help you decide at a bigger consciousness. Have you searched for someone else’s personal opinion of experience hoping to know if he’s really what you’re looking for? That’s no good. This isn’t the right path. We have nothing against other people’s opinions, but basing your choice on two or three opinions is letting someone else decide for you, really. What you have to do is ask for thousands or millions of people’s opinions. And how do you do that? Well, exactly: it goes by the price. It’s in the title after all, isn’t it? In a universe so big as the Ultimate Team player’s, there’s no room for mistakes. Bad decisions are easily absorbed by the immensity of good ones. The community isn’t stupid and puts a lot of time into a game that, excuse redundancy, learns to learn. There’s no better way to show how good a player is than setting a price as high as his quality. Nobody likes paying more for a player that they think isn’t worth anything, and only some manage to pay less than his average price. In other words: are you undecided between two players? Go for the one that costs more. ➡️ What about the rest? So you just choose the most expensive one and it’s all settled? This isn’t what we said. For some reason this is the fourth criteria. Until you got here you’ve at least taken a look at the players’ attributes and selected those that best fit in your playing style a formation. This is just a tiebreaker factor that will certainly work for most people. The more similar the players are to each other, the higher will be this strategy’s success rate. ➡️ But don’t prices change? Of course they do. Sometimes players who used to be more expensive become cheaper than their concurrent. If you look closely this happens only once in the game, except for rare situations in which a player will make the difference in real life. In the end, this is the proof that the community is alert. What happens is that when the game is released, prices are according to people’s initial expectations. Only after some learning and experimenting time prices will be set for more or less, according to whether the player has been revealed worse or better than expected. For that reason, you should only look at the players’ prices as a choice factor after the first 15 days of the game. On FIFA 19 this was very notorious with the slowest players. Once the community realised pace was OP again the fastest players gained concurrence, hence the price increase. ➡️ And doesn’t supply affect the price? Yes, this is also a factor to be taken into account. Prices are made by the community but are also defined by EA, which can put more or less cards of a player in circulation. If they put many cards the price drops. After all, whose fault do you think it is that you don’t have enough coins to buy Messi or Ronaldo? You can’t look at the price of very expensive players or IF versions as a reflection of quality. They are strongly inflated because of the poor supply. No matter how good Ronaldo might be, he’s not worth 500 Benzema’s, right? All the calling of attention we did until here has quite an importance because hardly one of these advices will lead you to a mistake. However, you should intensify your attention when comparing two different popular players. The fact that one of them is in form or plays at a highlighted club is enough to make his price rise. Due to the quick sell value difference between rare and non rare cards, the last ones tend to get devaluated even when it comes to interesting players. It goes the same way as the popularity factor we explained earlier. If you can identify all these things, you’ll be able to choose the best players at lower prices. Along this guide we gave you all the tools you need to analyse what are the best choices for your squad. However, the intention wasn’t to depreciate the fun way of finding out if a player is good or not: testing him out. Play, have fun and if you’re having good results with someone, don’t change just because somebody else thinks different. After all, you don’t change a team that’s winning.